Online marketing techniques for long-term business success. Wondering what the best times and days are to post on social networks, like Facebook, Twitter and LinkedIn? The folks over at Quick Sprout created a helpful infographic that shows when your posts could receive the most interaction. Some are surprising, but we’ll give it a shot! Did any of these surprise you? Tell us in the comments below! This year, the CIA joined Twitter and posted their first Tweet on June 6. Their appearance drew much attention and received over 300,000 retweets. Last week to celebrate one month on Twitter, the CIA, or their social media manager, showed their sense of humor once again by answering the “top 5” questions they have received on Twitter. 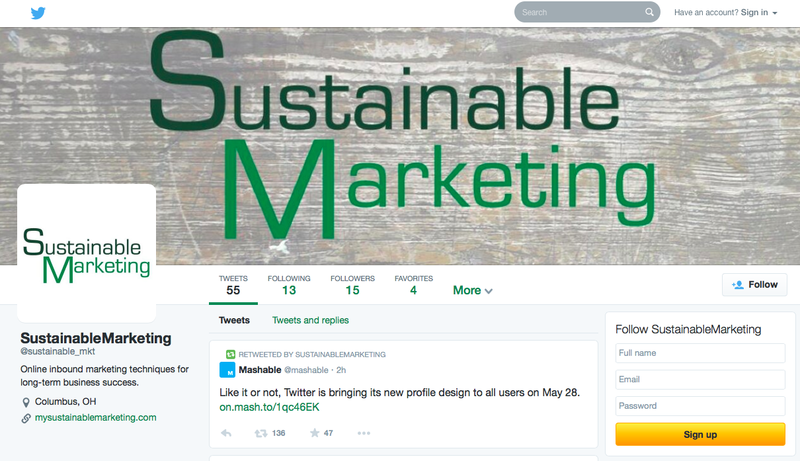 Twitter’s new profile layout will go live for all users on May 28. The new profile features an updated layout, new header image and the ability to pin tweets to the top of your page. Best tweets, or tweets with more engagement, also appear slightly larger, so your best content is easy to find. When navigating twitter, you can also choose to filter tweets when checking out other profiles. You can choose to view tweets, tweets with photos or videos and tweets and replies. If you haven’t already done so, you can switch to the new layout simply by visiting your profile. You will see a preview of what your new profile would look like and choose to turn it on now or wait. What do you think of the new Twitter layout?